We know it is tough to endure a SEMO summer worrying about reliable air conditioning, so let Schumer Brothers help! 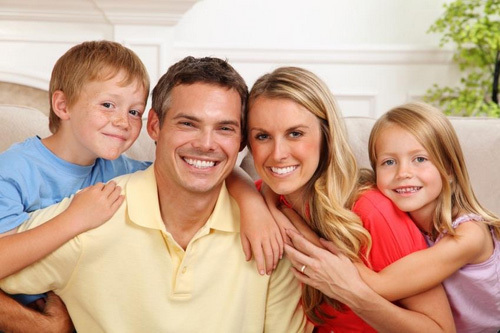 Schumer Brothers is your premier heating and cooling service & installation company. We know how important air conditioning is to your comfort and peace of mind. In fact, the HVAC system should be a major factor for those looking to purchase a home or commercial property since reliable and efficient heating and cooling systems are critical to being comfortable. Schumer Brothers Heating & Air Conditioning is your greater Perryville area provider of air conditioners, heat pumps, air handlers, and other cooling systems. Schumer Brothers is a certified Trane dealer which means we only install Trane Air Conditioners. Trane AC units provide reliable performance, durable construction, enhanced comfort, cleaner air, and efficient operation. Together Trane and Schumer Brothers will set the gold standard of energy efficiency. Schumer Brothers will work with you to find the best size air conditioning unit for your needs. Call Schumer Brothers Heating, Cooling, and Plumbing for your free estimate on a New Trane Air Conditioner. A sudden spike in your bill or a noisy air conditioning unit might signal a major problem in your cooling system. If you notice these problems please call Schumer Brothers to schedule a repair with a trained service technician to come out to diagnose the problem on your air conditioning unit. Our service experts show up in a fully stocked truck and have continuous training on all types of air conditioners. Therefore, Schumer Brothers repairs all types of air conditioners such as American Standard, Lennox, Trane, York, Goodman, Bryant, Amana, Heil, Comfortmaker, Carrier, Rudd, and Rheem just to name a few. Call Schumer Brothers to schedule a repair on your ac unit. By performing annual maintenance on you air conditioner it will help extend the efficiency and reliability of your air conditioning unit. AC units need more maintenance as they age. Let our trained Schumer Brothers technicians check your cooling system and make sure that you are ready for the upcoming hot summer days. Our Service Club Membership provides you with 2 semi-annual maintenance visits, discount off repairs, priority service, and 1”filters. As a service club member, Schumer Brothers calls you to remind you in the spring and fall it is time to maintain your hvac equipment. Call Schumer Brothers today to find out more about our service club membership. See what EnergyStar says about maintaining your indoor comfort system. What About Maintenance? You’ll see we surpass what EnergyStar recommends! At some point it becomes necessary to choose a new air conditioning unit. It is important to recognize potential warning signs that your current air conditioner might be on its last legs. See what Energy Star says about replacing your old inefficient air conditioning system.